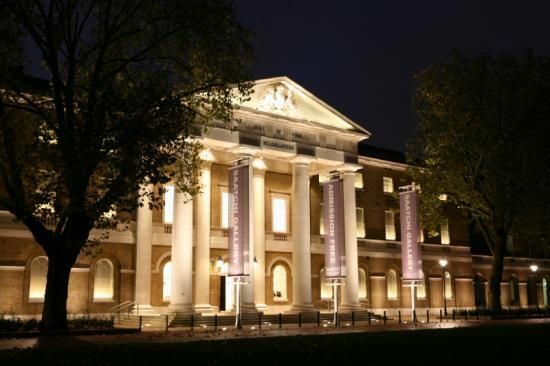 The Saatchi Gallery is housed in the historic Duke of York’s HQ. This Grade II* listed building revels in a fascinating history and is juxtaposed seamlessly with Saatchi’s cutting edge interior. The Gallery interiors are contemporary and minimalist; offering an ideal blank canvas for production and an elegant setting for all events. Each Gallery boasts high ceilings, striking wood floors and all have state of the art Barasol lights simulating natural day light to showcase the Art, all fully dimmable to create an entirely different atmosphere. The Gallery collection changes four times a year, transforming the environment entirely. The space showcases unique and arresting works of art to entice your guests, providing a striking backdrop to any event and perfect for stimulating a unique atmosphere. Fiona Price, Senior Venue Events Manager, GSP Ltd.